May I preface this post by saying I’ve never been a picky eater. Just ask my mom. Or any friends whose parents loved when I’d come over and eat anything they’d make. Or any flight attendant/cafeteria lunch server. Okay, you get the point. While I’d say I’m still not that picky, I’m definitely a lot pickier than I used to be. I like to think my tastes are just more refined nowadays. I really noticed how much pickier I’ve gotten yesterday when I was preparing ahead of time for WIAW. Here’s to being punctual… and picky! Guys, I love chia seeds for the sole reason that they hold my overnight oats together, but I do not love their price. 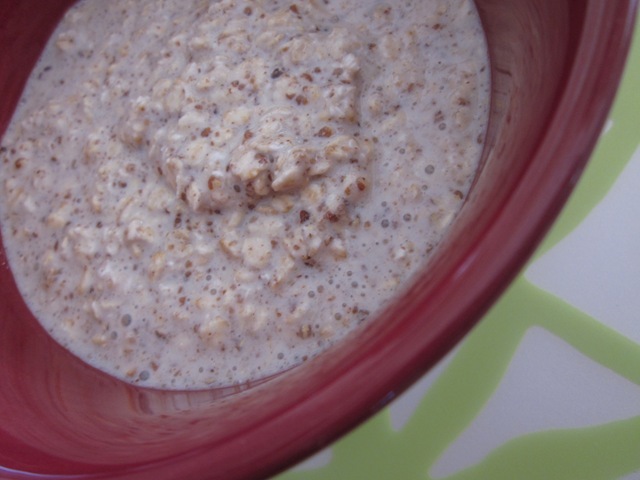 I do however have an excess of flax seeds on my hands so I decided to try using ground flax instead of chias. Not quite as thick and that nutty taste certainly is different but I think I’ll stick to flax and hope it grows on me. So long chias! My bank account will thank me. 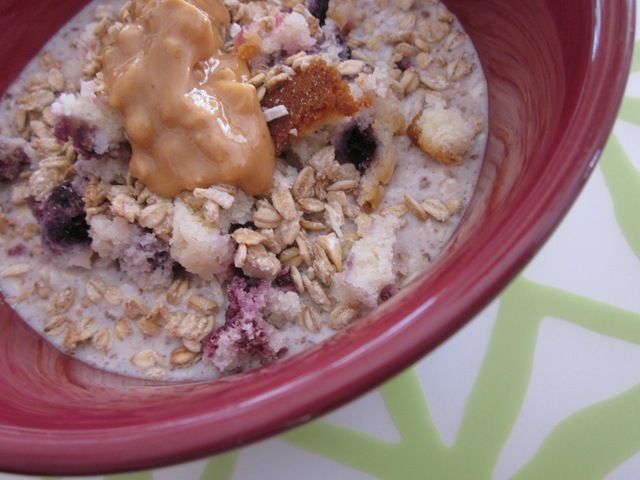 Overnight oats topped with coffee cake, tropical granola and peanut buttah. I attempted to go to my usual free yoga class and realized after I arrived that they’d changed the schedule. It wasn’t free, it wasn’t Core Power 1, and it wasn’t all that great. Am I the only one who feeds of the energy of a full room of yogis? 4 people isn’t quite as fun. Came home and grabbed something to cool me down. 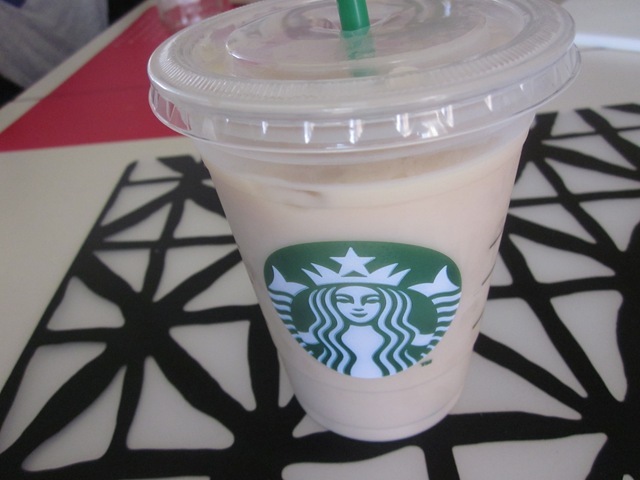 Iced coffee with toffee nut, white mocha and breva (aka half and half) – we call it a Jason Black – please don’t go to Starbucks and try to order a JB, they won’t know what you’re talking about. Then I got a relaxing 75-minute facial. I know, my life is really hard what with all the massages, facials and pedicures I’ve been getting. I’ve just come to realize I’m worth some extra pampering. 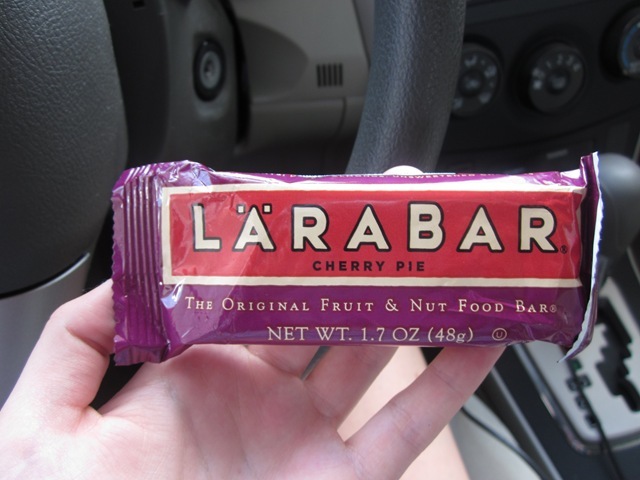 I made it through half of this bar before remembering I hate Larabars. Except any of the flavors that involve mini chocolate chips – those are totally acceptable to my taste buds. 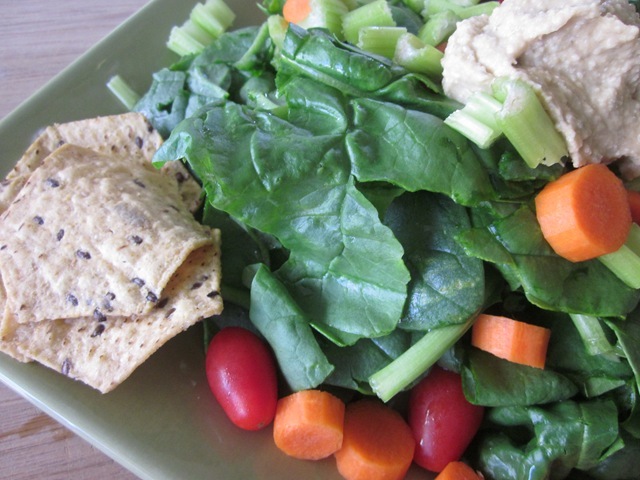 Came home and assembled some lunch, featuring the “Caesar Hummus” I made yesterday. 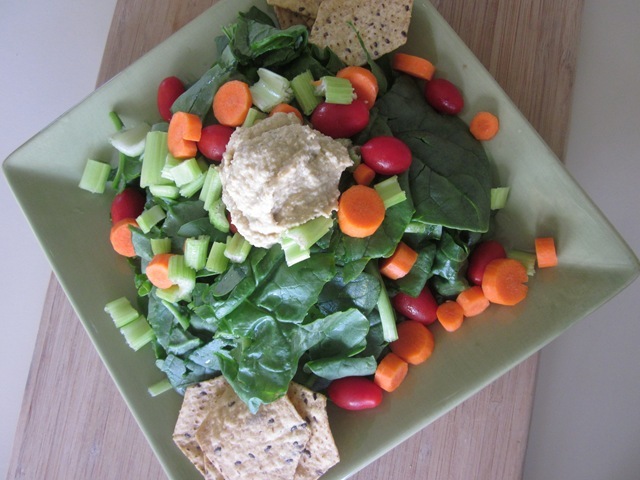 Spinach, celery, carrots, cherry tomato and hummus salad. 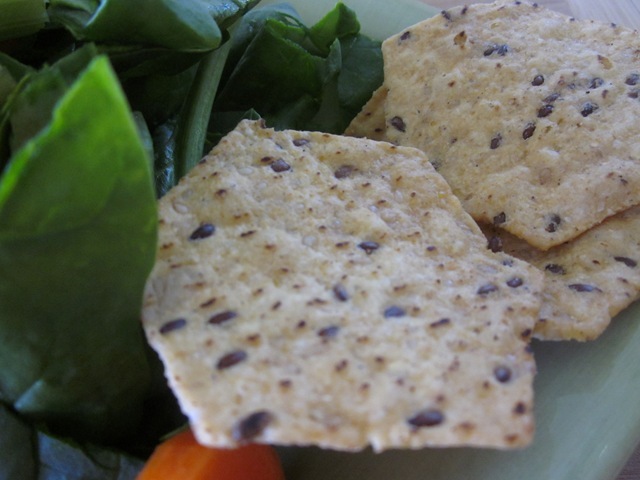 Food Should Taste Good Multigrain Chips on the side. Or I’m just picky. Either way, unsatisfying lunch = early afternoon snacking. 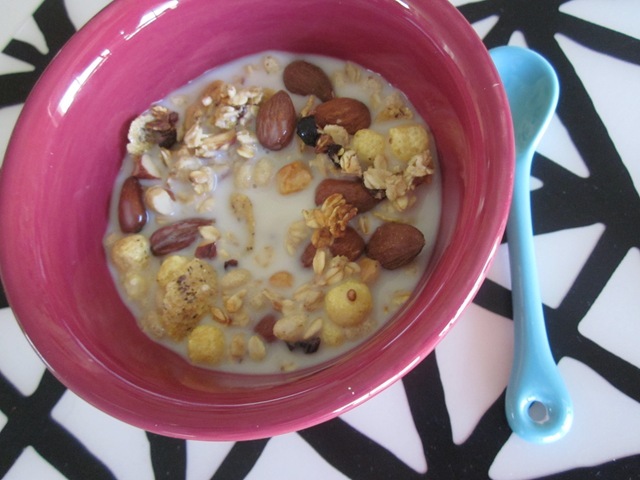 Crunchy Vanilla Sunrise, almonds, granola, almond milk. Dinner plans were scraped when I decided to go support my dad and attend a talk he was giving. Fast and easy was on the menu instead. 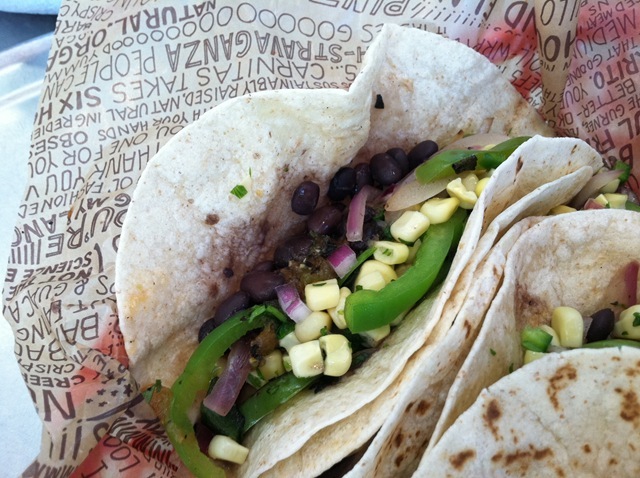 Chipotle: Vegetarian tacos with black beans, fajita veggies, corn salsa, green salsa. Not a fan of how drippy the green salsa is <— read: picky. Guacamole stolen from my sister’s chicken bowl. Did I mention I managed to forget both my camera and my phone at home? Thank goodness for Joey’s iPhone! I ate 2 out of 3 and saved the last one for later. One talk and one embarrassingly bad softball game later, I came home for a snack. Please excuse the bad light. 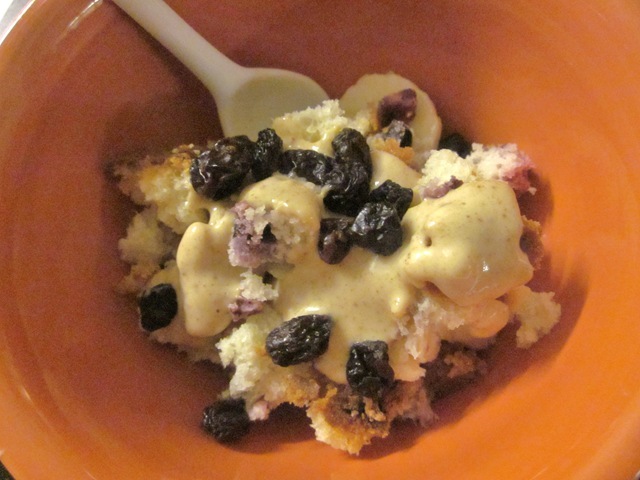 Banana, crumb cake, raisins and peanut butter sauce (aka pb mixed with almond milk and cinnamon). Now please go thank our hostess and join the party! I am so jealous about the facial! No, really I am! I’m not really a picky eater 🙂 but I HATE the cherry flavour too! It was soooo gross! And I only bought it because my sister said it was her favorite. 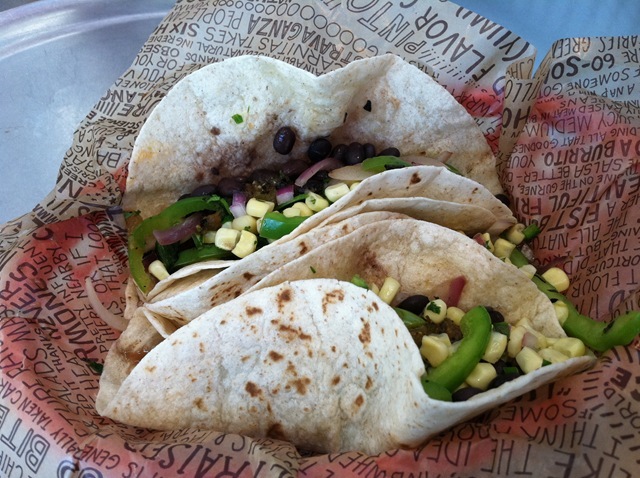 I am not a picky eater per say, but I am a major texture eater. I’m all about texture too. I need crunch, chew and creamy in every meal. I’ve just come to realize I’m worth some extra pampering.” – AMEN to this! I always get massages because I think I’m worth the pampering. But not liking larabars? That’s just a sin. I know, I was afraid I’d be cast out by the blogging community for saying that. I meant to say yesterday that I’m not a fan of local spinach, either :X I really want to love it, but it seems a lot of the greens I buy at the market vs. the store are just so much more…potent? Hmph. Okay, good I’m glad I’m not the only one who doesn’t enjoy fresh local greens. My sister was notorious for eating chicken tenders EVERYWHERE we went. I love Larabars! 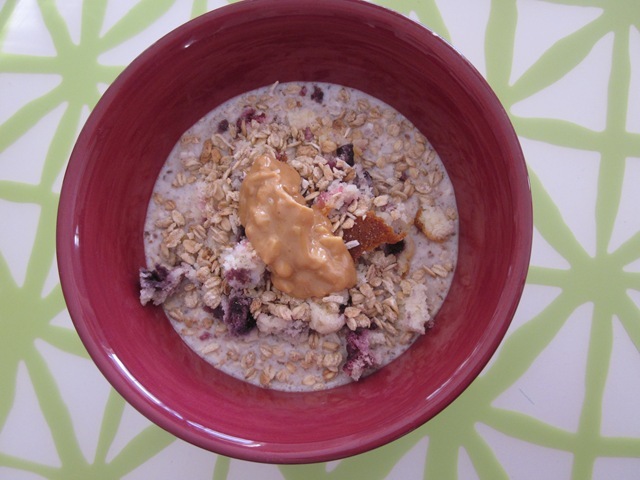 My favorite is the PB chocolate chip kind…YUM! I just bought an entire box of those! I haaaaaaate larabars! Like really really hate them. I don’t think I’ve ever been a picky eater. As long as it is meat free it’ll go in my belly! And yes, I get so anxious when my gas light goes on. My motorcycle ran out once when I was leaving my house.. I had to run down the hill and back to get some gas. Never again. Hi Lauren!!! So glad that you found my blog through WIAW and I found yours!!!! Thx for the congrats on the 200th post and girl don’t be jealous of the Louisiana food – Did you SEE what you just posted? yum! yum! yum! 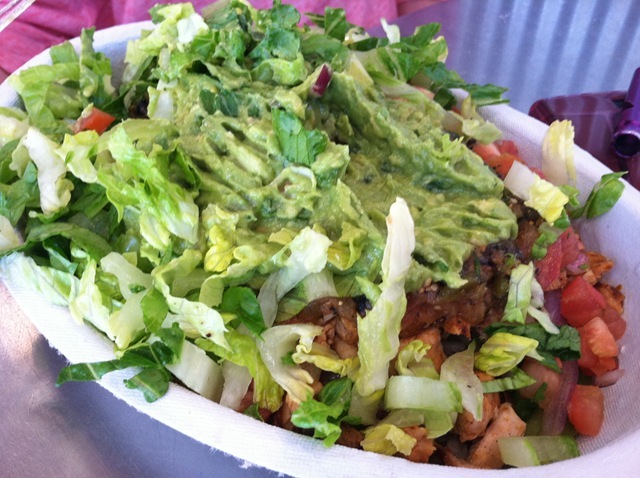 Your food looks so delish and healthy! Of course, you can always make yourself some New Orleans style red beans and rice :))) Its’ pretty yummy!!! Can’t wait to go through your blog and read more of your posts! xoxo!